IBM Thinkpad 380E Type 2635-400 laptop computer. 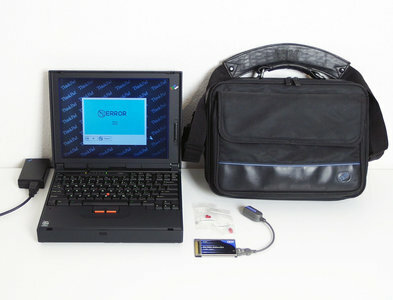 Thinkpad laptop from 1997. 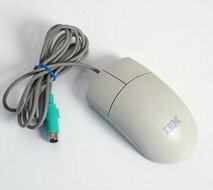 Ideal for running MS-DOS software. This IBM Thinkpad 380E is a model 2635-400, made in the U.K., with international QWERTY keyboard, original IBM external power supply (allows various input voltages, making it also compatible with the U.S. mains net) and original IBM battery. Power supply requires 100-240V AC. Very well preserved Thinkpad 380E, without the sticky rubber coating from the 700 series. This computer was last tested at 25 March 2019. - Computer could be powered on several times using the included power supply. - Computer stayed powered on for at least 15 minutes. - Computer displayed a stable, straight, contrastful, bright, colorful and sharp picture (without distortions; no faulty lines or dead pixels). - Control for contrast worked. - POST displayed 32 MB RAM with battery and clock related errors. - Hard disk spinned and did not make any unusual noise. - Computer did not get hot. - Computer could not boot to an operating system due to before mentioned errors. - All used keys of the keyboard worked. - Screen could be opened and closed like it should (felt firm). - No further defects and/or faults were identified.